Sorry, you are not logged in. Login again to continue your games. Please send feedback if you need assistance. We recommend using a unique nickname. For optional move notifications when it is your turn to move. 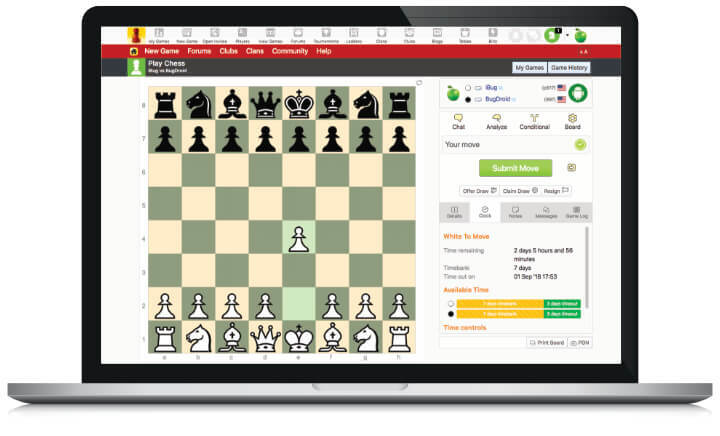 Play chess from your browser with optional email notifications. No boards to set up, no pieces to lose, just start a game and play chess. We record every move, and you can return to your game whenever it's convenient. Join and play for free. 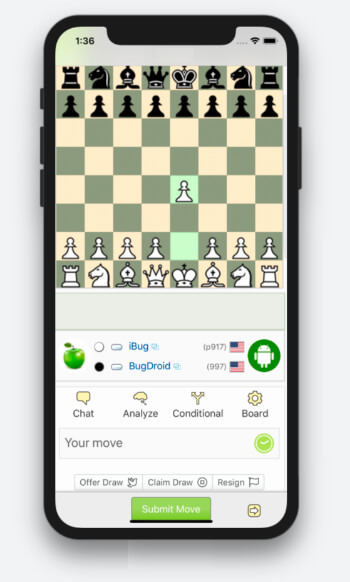 Do you want to continue playing chess when you are away from your computer? Red Hot Pawn is optimzed for mobile use too. Every site feature available in the palm of your hand. For the best mobile experience, download the Red Hot Pawn app. The apps provides a faster, enhanced experience whilst using limited mobile data. Receive near realtime notifications when it is your turn to move. Available for both Android and iPhone/iPad.